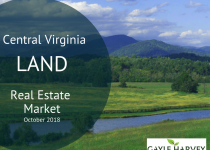 Review the latest real estate market information for land in Nelson County, Virginia. It’s a buyers market for land right now in Nelson County. There is a large inventory of active property listings at all price points, with the majority of them priced at $500K or under. With only a total of just seven sales in the past year, and two pending sales at year end, sellers can expect to have an extended number of days on the market with their land listings. 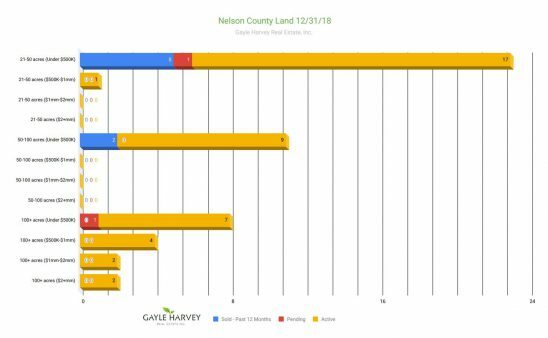 The most buying and selling of properties in Nelson County is centered around smaller parcels, between 21 and 50 acres. 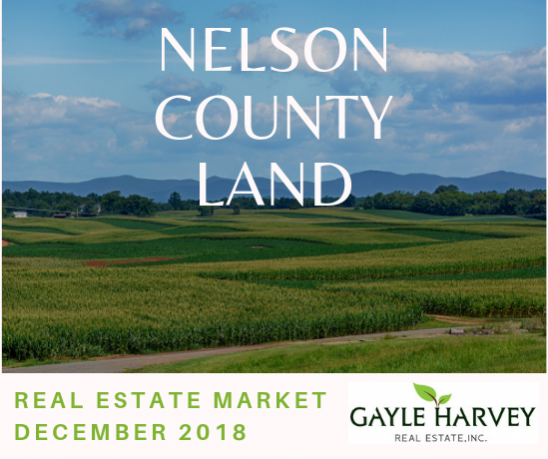 With eighteen active listings, one pending sale, and five sales in the past year, this is where much of the real estate land market in Nelson county is focused. All of these listings, except one, are priced under $500K. 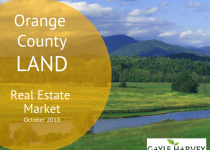 There are currently nine mid-size land listings available for properties between 50 and 100 acres, with two sales in the past twelve months. All of these listings have also been priced under $500K. Taking a look at large land parcels, over 100 acres, there is an abundance of inventory for buyers to choose from at all price points. There are fifteen active listings, with one pending sale. There have been zero sales in the past year for large properties in Nelson County. With the current market situation, it’s important for both buyers and sellers of land to keep an eye on the market and inventory and to have a skilled real estate broker guiding you through the process. 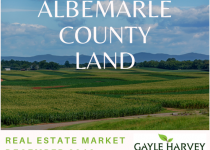 I would be happy to answer any questions about buying or selling your Central Virginia land. It would be a pleasure to work with you to create a winning strategy for your next land transaction. Contact me, Gayle Harvey, at Gayle@GayleHarveyRealEstate.com or 434-220-0256.